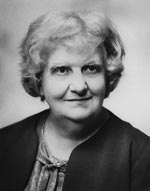 Frances A. Yates received a master's degree in French theatre from London University in 1926. She taught at North London Collegiate School until 1939. A small inheritance from her father gave her the freedom to conduct some independent study and at some point she discovered forgotten documents in the London Public Records Office about the late 16th-century linguist and translator John Florio. In 1934, she published her first book, John Florio: the Life of an Italian in Shakespeare's England, which laid the groundwork for the rest of her prize-winning career as a scholar of the Renaissance. She also taught at the Warburg Institute of the University of London for many years. Frances Amelia Yates is currently considered a "single author." If one or more works are by a distinct, homonymous authors, go ahead and split the author. Frances Amelia Yates is composed of 14 names. You can examine and separate out names.